William and Len will make their annual presentation to the staff and new intake of students at the Pestalozzi International Village Trust (PIVT) this coming Monday, 24th October. We are delighted that there will be several former early Pestalozzi children attending, a former volunteer staff member and even a former teacher from Claverham County Secondary Modern School (as it once was!). There will also be opening comments by Dr Craig Fees, Archivist at the Planned Environment Therapy Trust, who has been our mentor and staunch supporter from the outset of our project. PIVT has nominated this date (which is also United Nations Day) as the Pestalozzi “Founders Day”. This is a special date for the earliest of the early Pestalozzi children – it will be exactly 56 years since the inaugural “Foundation Day” was celebrated at Pestalozzi in 1960. Dr Walter Corti (founder of the Swiss Pestalozzi Children’s Village) attended and presided over the burial of a time capsule (this site can still be seen in the Pestalozzi Peace Garden, just above Sainsbury House). Not only will this be our first presentation in the new Pestalozzi Centre, but there will also be an unveiling of framed images for a Founders’ Display, positioned in the entrance of the new Centre. This will be a fitting tribute to the founders and those who inspired the establishment of this Pestalozzi community. We feel this is a validation of our efforts to have our early history recognised. 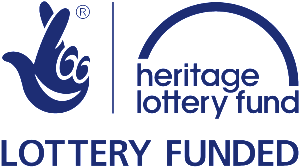 Our thanks goes, as ever, to Heritage Lottery Fund for their support through the Sharing Heritage grant.